Beatle John Lennon turns 28 today. 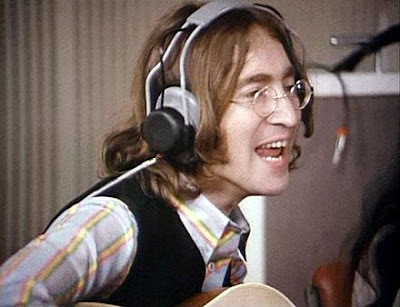 In this recording session of "All You Need is Love," John Lennon, lead singer, is accompanied by a full orchestra, in front of a small audience. Don't blink, though; otherwise, you'll miss a glimpse of a young (and already famous) Mick Jagger grooving.